"EXCEPTIONAL SERVICE AND AN EXTRAORDINARY EXPERIENCE FOR EVERY CLIENT, EVERY TRANSACTION"
"Were it not for Danielle’s tireless effort and shrewd guidance on behalf of her buyer, I feel quite certain that our home would still be on the market. No other agent I’ve met, including even our own, would have displayed the extraordinary dedication required to consummate this sale. It’s only because of her incredible energy, uncompromising professionalism, and superior communication that this deal was closed…and with terms satisfactory to all!" "Having two Realtors who were so in touch with what we were looking for really made us feel like we were all part of a team. There was always someone to take us to a showing, someone ready to listen attentively to what we wanted in a home - but more importantly, there was someone willing to encourage us to look beyond the ‘typical’ and suggest things that we had not previously considered. We really felt like we had a partner who was looking out for our best interest, without whom we would not have found ‘our home." "Genuine professional who goes beyond the call of duty in her service for clients. she truly takes the time to understand your needs. Knowing how well she managed two of my home purchases and one sale, I can recommend this team with the utmost confidence. She really knows the business and works hard for you." "I worked with Danielle on the sale and purchase of my home and really can’t say enough good things about her. She is knowledgeable, approachable, personable, endlessly patient, and incredibly generous with her time (including mornings, evenings, and weekends over the course of several months). She answered every question, explained every form, and every part of the process very clearly and thoroughly. Danielle really was fantastic during the negotiation, closing, and even after closing. Buying a home in this market is challenging, but working with Danielle made it as painless and straightforward as possible. I highly recommend Danielle." 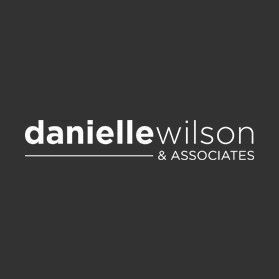 "Danielle Wilson brings the utmost professionalism to her role in facilitating real estate transactions. Danielle represented us both in buying our dream home and selling our previous home, and in doing so, she went above and beyond to ensure a smooth and speedy process. Her positive attitude, calming personality and extensive knowledge of the industry eliminated the stress of the experience and enabled us to focus on the fun parts. Danielle drove significant value in both transactions by helping us negotiate on the most important points. We recommend you choose Danielle as your real estate professional. Danielle really does make home buying/selling dreams come true!" "The best single word to summarize my recent experience in selling my home with Danielle Wilson as my realtor is exceptional. But it was truly much more than that! Danielle is a highly accomplished and experienced realtor who truly cares about her clients. She knows the business, knows the area, knows how to stage a house, and knows how to price a property appropriately for her client(s). What I appreciated most about working with Danielle is her energy and “can do” attitude, her smile that always brightens the day even under the highly stressful and often pressured situation in selling a home, and the personal touches she adds as she gets to know her client(s) and tailors her work to their needs and timelines. In short, Danielle made selling my place a fun adventure rather than a dreaded chore for which we were successful on all accounts! Thank you, Danielle. I am grateful." "In the Fall of 2016 my wife and I were finally ready to start looking to purchase our first home somewhere in south orange county. We knew very little about the whole process so we looked for a real estate agent we could trust to guide us. Danielle Wilson did so much more than we ever expected from an agent. From the beginning Danielle’s work was apparent in the number of listings she had ready for us to take a look at. It was clear she had paid close attention to what we were looking for. The homes we looked at were in our price range, with great schools nearby, comfortable safe neighborhoods, and close to our jobs. Once we had picked a house, our dream house, Danielle’s experience really shined. We were not alone and there were several offers on the same home. Danielle knew we had to increase our initial offer, but by how much? Well that’s why Danielle is the best, she suggested we do two things. Increase the offer and write the home owners a letter, letting them know who we are and why we think this home would be perfect for us. The homeowners later told us that they selected our offer, which was $4,000 less than the highest offer, because of the letter we wrote! Oh, and Danielle did that delicate negotiation with the most critical timing while she was in New York on business. Danielle was on top of every email and phone call. After our offer was accepted Danielle continued to clearly communicate the following steps and made the purchase of our first home a great experience."